Paul joined IrvinGQ Limited in May 2016 and prior to this appointment Paul was a Technical Support Manager, Regional Sales Manager and Business Development Director within the Parachute and Aerial Delivery Industry. Before that he was a Trials Officer with the UK MoD, in the branch of Aerial Delivery Research and Development. This was after completing 22 years in the British Army in the trade of Aerial Delivery, reaching the highest appointment for this trade as a Master Air Despatcher. 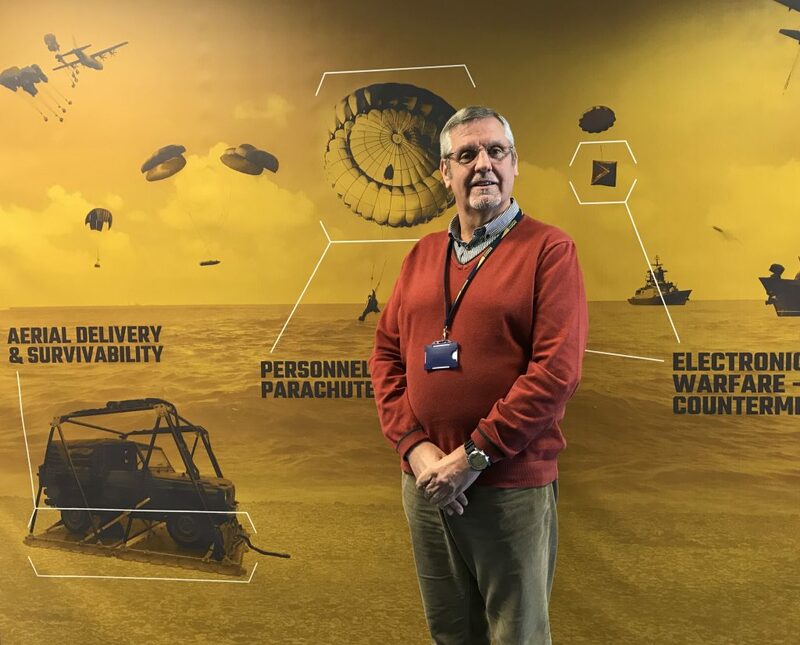 For many years Paul has worked with worldwide Military customers and establishments as the main point of contact for Business Development and Technical Support for Aerial Delivery equipment and systems. He has also worked closely with trials organisations such as NATICK, JADTEU, NAGLOS, CAP Toulouse, QinetiQ, BMSO Schaffen and various aerospace companies, especially those who specialise in Transport Aircraft maintenance and modifications, such as Marshalls, Boeing, Airbus, EADS and Lockheed Martin. Paul also continues to develop IrvinGQ’ position in the market of Aerial Delivery and Parachute Systems, mainly in the European and Middle East sectors of industry and is involved in defining system requirements, specifications and detailed design and certification programs for all aircraft aerial delivery matters, including training of personnel in new procedures to meet the new systems involved.